Debunking one of the many hoaxes floating around whatsapp. Google & verify before forwarding folks! If ONE (1) of your Nominees in the EPF Nominees list dies, automatically the whole arrangement (EPF Nominees list) is VOID. Meaning if, you only put in One (1) name & unfortunately he/she dies before you? Automatically EPF will channel your EPF money to trustee of AMANAH RAYA upon your death. Even though if you have few names in the EPF Nominees list, – the whole arrangement is VOID & none of the individual names left in the EPF Nominees list will get their portion & automatically EPF will channel your EPF money to trustee of AMANAH RAYA upon your death. Piece of advice – if any of the your Nominees in the EPF Nominees list dies, please do immediately approach the nearest EPF counter & present the Death Certificate of the individual & register your NEW / LATEST Nominee in the EPF Nominees list + NEW / LATEST percentage. If, you & the other party (maybe spouse) involved in the same misfortune (accident / illness) that caused death to both yourself / spouse please, please, please alert your siblings / relatives / parents to immediately approach the nearest EPF counter & share the information within 3 days to AVOID all EPF money to be surrendered to trustee of AMANAH RAYA. If a member has more than one nominee and one of the nominees dies during the member’s lifetime, only the portion that was bequeathed to the deceased nominee will be invalid. Should the member later dies without updating his nomination, the other nominees will receive their portion accordingly. Only the portion that was bequeathed to the deceased nominee will be subject to procedures under ‘EPF savings without nomination’ in which the first priority for the right to claim the member’s savings goes to the nearest next of kin or the appointed administrator of the deceased member’s estate. Therefore it is not true that if you, as a member, have named more than one nominee, the entire nomination will be void if one of the nominee dies before you. It follows however that if you have named only one nominee and he or she dies before you, the nomination will be void unless a new beneficiary is nominated. Please note that you don’t have to produce the death certificate of a deceased nominee to change your nomination. You can change/update your nomination anytime by simply completing a new KWSP 4 (AHL) Form. This will automatically revoke any earlier nomination made. Initial sum of RM2,500 will be paid to the next of kin. The balance will be paid after a two-month period from the date of the member’s death. Initially a sum of RM2,500 will be paid to the next of kin. The second payment (not more than RM17,500) will be paid to the next of kin after two months from the date of the member’s death. 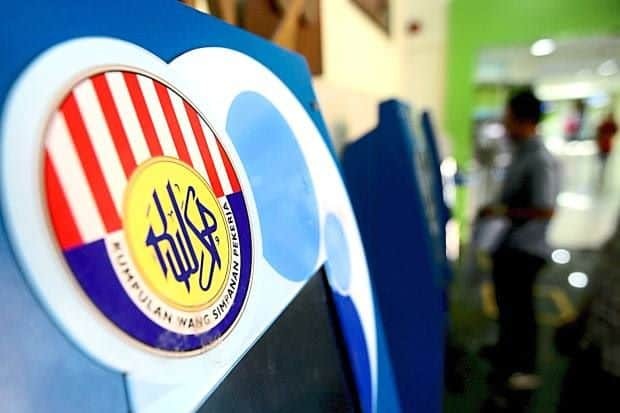 The balance of the savings will be paid upon submitting the Letter of Administration/Letter of Probate/Distribution Order/Faraid Certificate from the party that administers estates such as Amanah Raya Berhad or the Court or the Land Office, respectively. The process to obtain these documents is time- consuming and certain fees will also need to be paid. On the other hand, with nomination, no fees need to be paid.This is precisely why nominating is very important. You should also ensure that you update your beneficiary whenever there are any major life changes such as marriage, additional new members or the death of a nominated beneficiary.